If you’ve never heard of Maestro Peng Xiuwen before this, you will now. The late Chinese composer and conductor (1931-1996) was a luminary in the industry, a mover, shaker and pioneer of the contemporary Chinese music scene who left an unforgettable impact on the orchestral world as we know it. Considered one of the founding fathers of ‘Chinese orchestral music’, Maestro Peng’s work in the industry led to the spread of Chinese music all over the world, earning him a well-deserved place in the Hall of Fame of music history. Now, get a chance to listen to the Maestro’s best compositions and arrangements live, as local Chinese chamber ensemble Ding Yi Music Company (鼎艺团) presents Masterpieces by Peng Xiuwen《乐坛巨人》, a full-length concert of his work this April. Playing at the newly refurbished Singapore Conference Hall for one night only, get ready to fall in love and be awed by the grace and musical beauty of the master’s best known pieces, such as Terra-cotta Warriors 《秦。兵马俑》幻想曲 and Unyielding Su Wu 《不屈的苏武》, as well as his arrangements of The Surging of Messy Clouds《乱云飞》and The Rising Moon《月儿高》. Featured musicians to look out for include musical husband and wife duo, yangqin masterZhang Gao Xiang and huqin expert Jiang Ke Mei, as well as huqin player Xu Wen Jing during this concert. Fans of Ding Yi are also in for a special treat from Ding Yi conductor Quek Ling Kiong – not only will he be conducting, Quek will also be performing a drum solo during Harvest Drums 《丰收锣鼓》, the first time he’ll be performing as part of the orchestra itself in years, and a rare opportunity indeed! By the time the concert is over, Ding Yi promises that longtime fans and curious newcomers to the Maestro will come to know and respect his work. Get set for an unforgettable concert of Maestro Peng Xiuwen’s timeless pieces, and before you know it, you’ll understand perfectly why so many of these have become modern Chinese Orchestra classics, and why Maestro Peng remains one of the most important figures and heroes in the modern history of the Chinese Orchestra scene. Peng Xiu Wen (February 7, 1931 – December 28, 1996), native of Wuhan, Hubei province, China’s distinguished composer and conductor, founder of modern Chinese orchestra we see today. He was praised by many as the “Maestro of Folk Music”. Born in Hankou in 1931, Peng started learning Chinese instruments from a young age. He graduated from business school in 1949 and worked at the Chongqing People’s Radio Broadcasting Station in 1950. 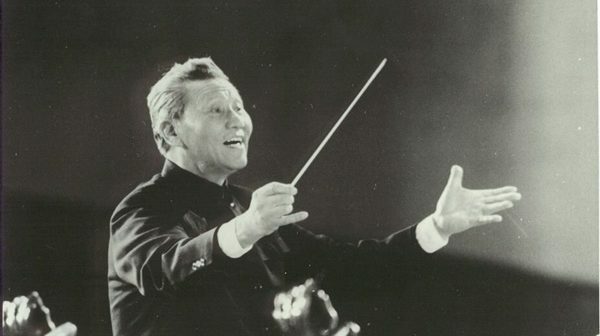 Peng was transferred to China Broadcasting Chinese Orchestra in 1952 and was appointed the conductor and composer of the orchestra in 1953 where he composed and adapted a series of folk music compositions, and established the structure and formation of the modern Chinese orchestra. He was awarded the Gold Medal at the 6th World Festival of Youth and Students in Moscow. However, during the revolution war, Peng’s musical career was forcefully disrupted. In 1981, he was appointed as the Guest Conductor for Hong Kong Chinese Orchestra and within the same year, he became the Principal Director of the China Broadcasting Performing Arts Troupe. In 1996, Peng passed away in Beijing. 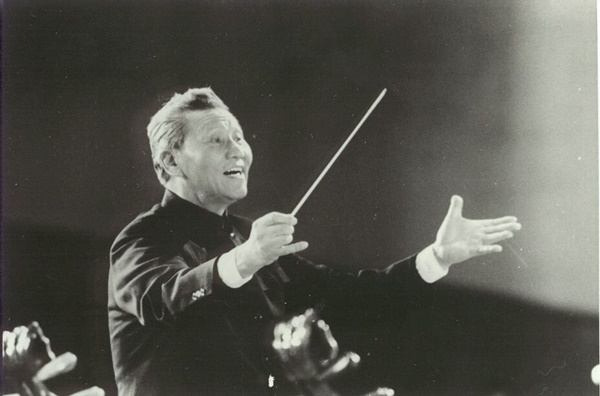 For his devotion and vision to improve the Chinese orchestra, Peng studied and referred to the various harmonies, orchestrations, instrumentations standards and constitution in western classical music, and developed the “Peng Xiu Wen Model”, a Chinese music orchestration many modern-day Chinese orchestras in China, Hong Kong, Taiwan and even Singapore follow. In addition to conducting, Peng was also a frontier in Chinese music compositions. His ingenious and exquisite orchestrations such as Dance of the Yao Tribe 《瑶族舞曲》, Unyielding Su Wu 《不屈的苏武》, Terra-cotta Warriors 《秦•兵马俑》幻想曲 and 400 other compositions and adaptations were widely acclaimed. This upcoming 21 Apr 2019 (Sun), follow Ding Yi to a suite of the Masterpieces of Peng Xiuwen, and witness personally the works by the maestro of Chinese music!